Re-engineered Area 9 biennial event! 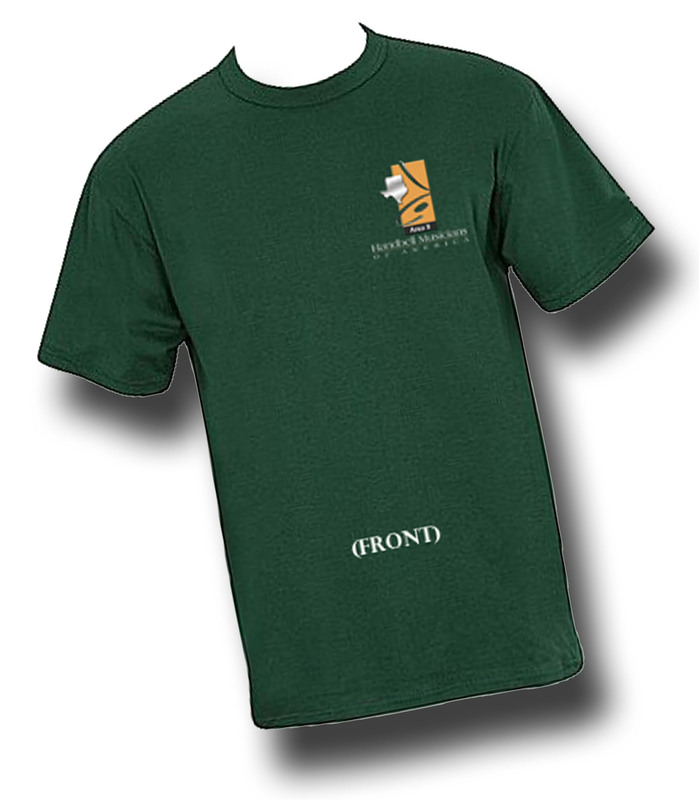 Geared specifically for the individual ringer, but big enough to cater to entire ensembles! your ensemble! Daily registration is also available! Massed ringing opportunities, a by-audition All-Star ensemble under the direction of Michael Glasgow (application online), and great ringing tracks available for all skill sets! Also, we’re proud to have more concert opportunities than at any previous Area 9 event, by performing ensembles from all over Texas and Oklahoma! In addition to our two amazing clinicians, Barb Brocker will be a guest artist and performer at the Summit 2012: Unlimited Possibilities event. Barbara Brocker has developed the bell tree solo concept, has over 20 bell tree publications in her name and has written “The Bell Tree Keyboard Manual.” She taught at International Symposiums in 2008 and 2010 and National Seminars in 2006, 2008, and 2009, and performed and taught at this year’s National Seminar in Minneapolis. As a performer and clinician at the Solo and Ensemble Extravaganza (S.E.E.) in 2001, 2003, and 2005, she was selected to join their “Dream Team” Quartet. Barb’s appearance at the festival is sponsored by the Greater Houston Handbell Association. a bell-tree track led by the talented Barbara Brocker, most recently seen performing at the 2011 National Seminar in Minneapolis! Details here! — Site info, Clinician Bios, and Summit Repertoire! 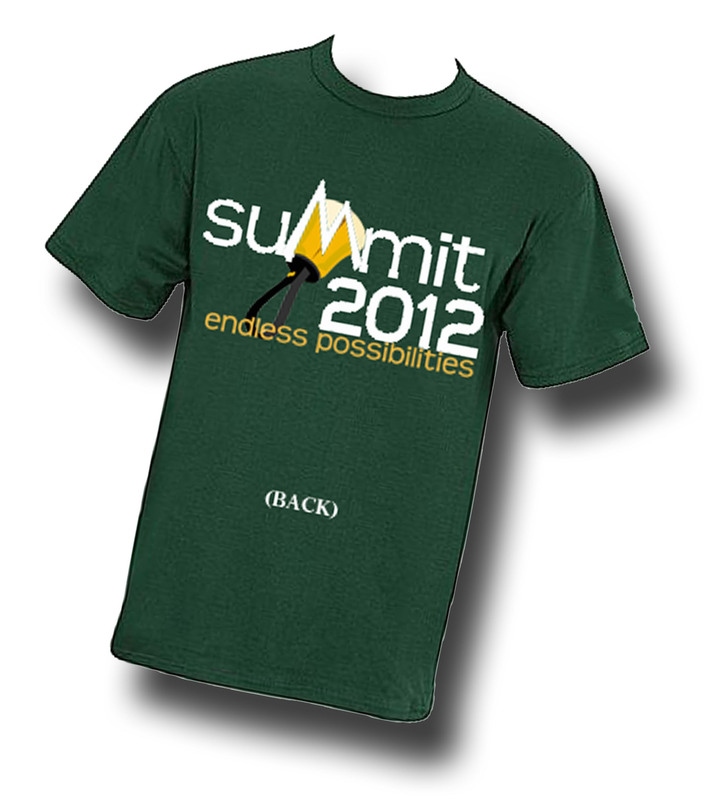 Apply for the Summit 2012 All-Star Ensemble! How soon will the music for this festival be decided. I am currently buying music for this church season and need ASAP the list/cost for this year’s music. Hi JoAnn! We’ll have the repertoire posted by the end of the week! Can’t wait to see you in Conroe! How much is the fee for this event? Hi Lee! Early Bird registration fee (submitted before May 15th) is $195 for the full weekend, and $210 if received after May 15th. This includes Saturday events and lunch, and Sunday events and lunch. 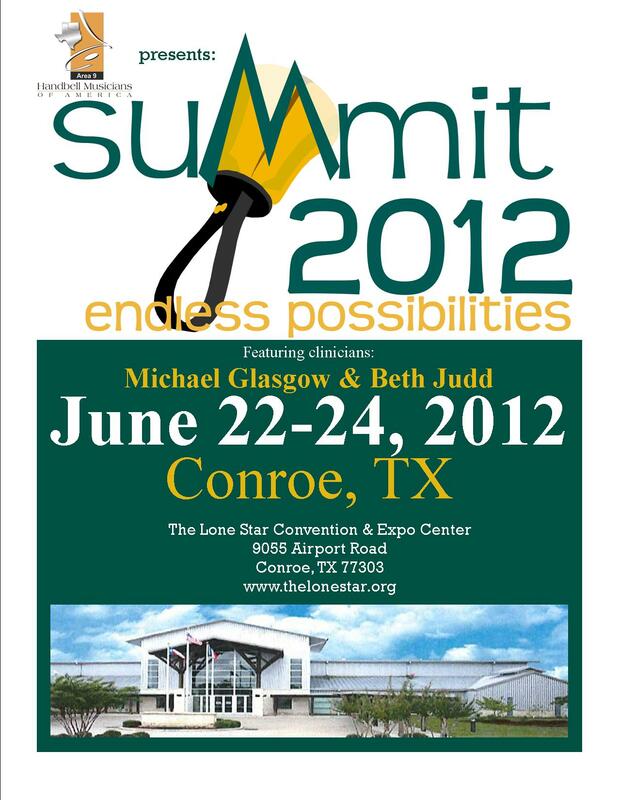 Looking forward to seeing you in Conroe! Is there a list of classes for the Saturday part of the event? My group is thinking of coming, mostly for learning and we want to be sure what we need is going to be addressed. What hotel is associated with the summit? There actually is no hotel associated with the event — but we planned it in an area that has plenty of hotels within a close radius of the Convention Center that host a range of taste and price. There’s lots of flexibility!